Thankful that I was able to work with the sisters. As I have said before the word pilgrimage essentially means – a journey, to a sacred place, as an act of religious devotion. Hence, our lives in Christ are a type of pilgrimage since our proper end is the Beatific Vision. Therefore, I think we can say that our devotion to Christ leads us to follow Him into the most sacred of places – through death, to resurrection and into eternal life. This is exactly why I love pilgrimage. I love the encounter – the experience of traveling to a place(s) dedicated to lifting our eyes, hearts and minds up to our Lord. I have learned that if I want Christ to be the central figure in my life I have to constantly position myself in places of refuge where I “see Him” and hear the still, quiet voice of the Holy Spirit. He desperately wants to talk if we were only willing to listen. Genesis 12: 1-3 states that God blessed Abraham in order that he would be a blessing to the nations of the world. Today, God still blesses His children so that we may be a blessing to those in need, the poor and others who are marginalized in society. Who are we to withhold that which God has so richly lavished on His children. Remember, it is in the giving that we receive. Each drop of love, act of service and listening ear really does make a difference – if only we believed it did. Collectively, we could transform the world just as Mother Teresa transformed so many who suffered in India and in all countries where her sisters have an active presence. 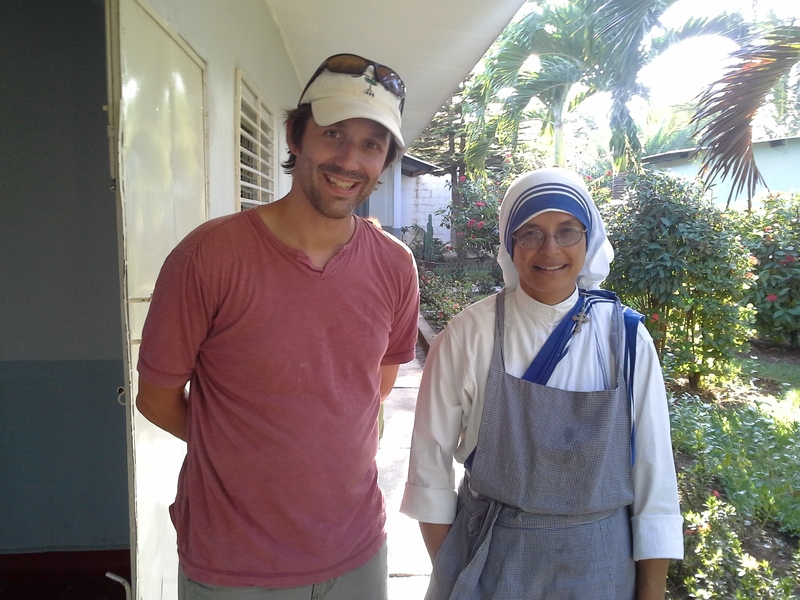 Recently I was in Honduras working with the Missionaries of Charity at their home for the elderly and those suffering with HIV. Sister’s Vincenta and Candelaria were explaining that many of the motherless children dropped off at their home are sick with HIV and come to die. The sisters explained that with medicine, patience and love the children are transformed. They become healthier, joyful and love to play. While we were there many asked, “Which of the children are actually sick?” The sisters responded, “all of them.” They were so playful and filled with excitement no one could tell that they suffered with HIV. May God grant us grace and give us mercy.